Home | Events | Spring Music Concert: All Welcome! Spring Music Concert: All Welcome! Mon Oct.22.2018 Comments Off on Spring Music Concert: All Welcome! Everyone is invited to celebrate our talented musicians at the Music Department’s Spring Concert on Thursday, April 18 at 6:30 PM in the auditorium. 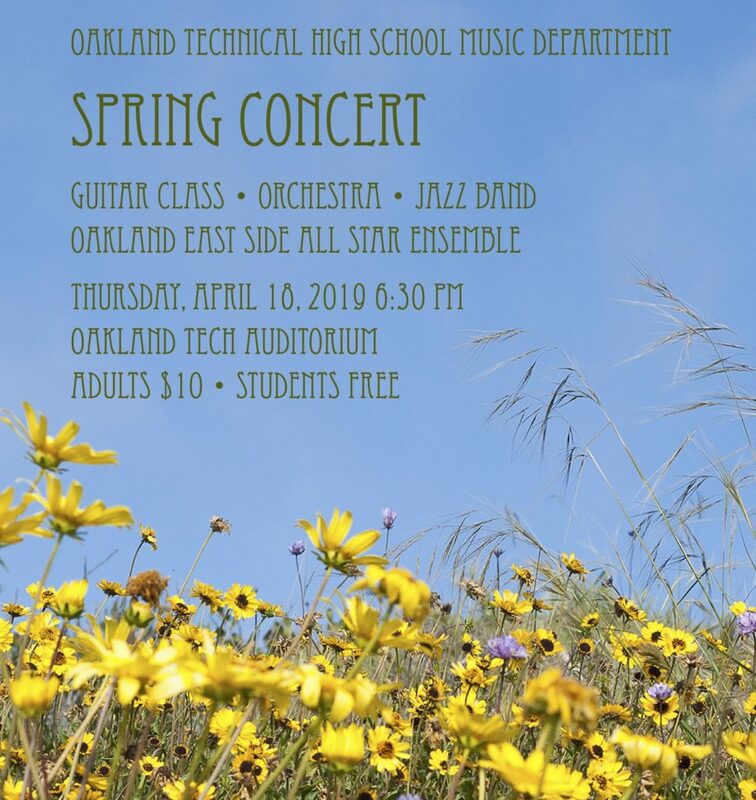 The night features the amazing sounds of Tech’s Jazz Band, Orchestra, Guitar Class and Oakland East Side All Star Ensemble. The Jazz Band and the Oakland East Side All Star Ensemble will be performing the sets they’ll play on their upcoming tour to Cal State Sacramento and the Reno Jazz Festival. Adults are $10 and students are free. Staff free w/ ID. Hope to see you!